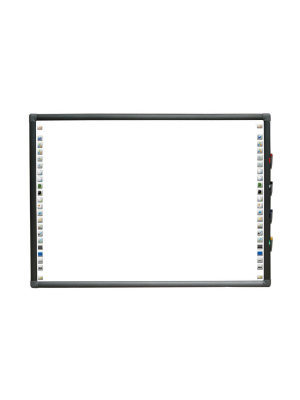 Ricoh D5510 Interactive Whiteboard is undoubtedly the dream whiteboard product of any collaborative communicator. Developed with novelty and high standards in mind, it is the perfect embodiment of a graceful interactive communication tool. This whiteboard is 55" wide LED display with contrast ratio of 10 and 6.5ms response speed. The 2-Touch screen and 16:9 aspect ratio sweetens the pot for those who prefer professional interactivity during collaborative sessions. With Ricoh D5510, users can open any document or import all kinds of media files into the workspace. The range of annotation options and accessories, such as the 20 color pen, is pretty helpful in bringing diversity to annotations. This innovative solution stimulates productivity through live feedback and exchange of ideas. 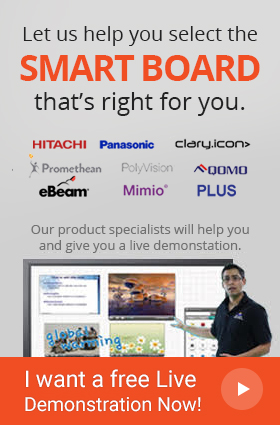 The networking capabilities of D5510 Interactive Whiteboard are best suited for collective brainstorming as a host may include 8 fully participating whiteboards in one session. Each of these 8 can further accommodate a maximum of 20 observing devices, thus enabling a mammoth interconnection of 168 devices. D5510 has immense usability owing to its compatibility with nearly all devices being used. 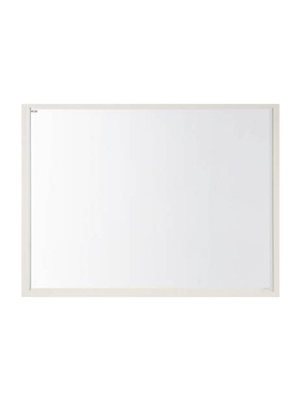 Participating users may connect to the whiteboard network via any available device, either computers or handheld devices. 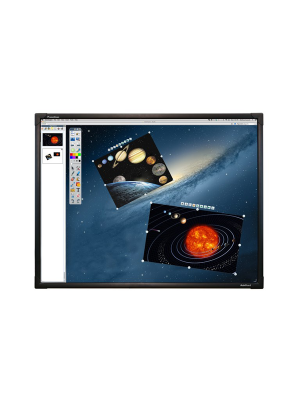 Furthermore, output mechanisms such as printing, emailing sessions and saving sessions are all possible from this single platform, making it an all-in-one interactive whiteboard.